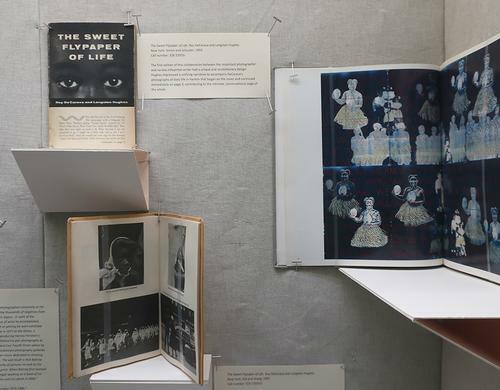 Through This Lens, an exhibit of library materials that illustrates and discusses the camera work of African American photographers can be viewed on the 2nd floor landing of Parkway Central Library until mid-March. Some of the earliest and most well-documented African American photographers, active closely after the 1839 introduction of photography to the world are represented: Jules Lion (1810-1866), Glenalvin, Wallace and William Goodridge (active 1847–1922), Augustus Washington (1820-1875), J. P. Ball (1825-ca1905), C. M. Battey (1873 –1927), and Elise Forrest Harleston (1891 - 1970), along with just a few recently and currently active African American artists who employ photography: Gordon Parks (1912-2006), John W. Mosley (1907-1969), Roy de Carava (1919-2009), Carrie Mae Weems (born 1953), Alvin Baltrop (1948-2004), and Clarissa Sligh (born 1939). 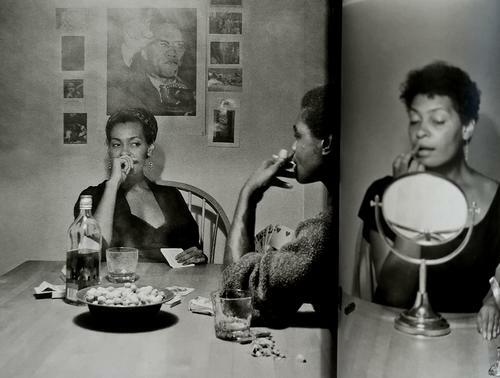 The work of important African American theorists, curators, and scholars, advocating for the practice and study of photography, is integral. This is true of Frederick Douglass (1818 –-1895) and W.E.B. 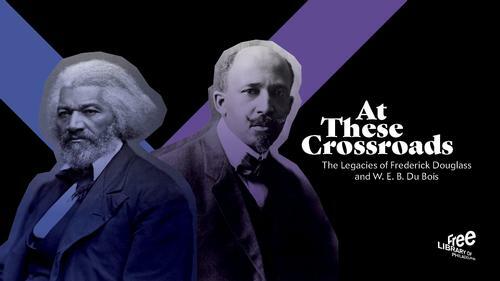 Du Bois (1868 - 1963), who are also the subjects of the 1st floor gallery exhibit At These Crossroads (open through Saturday, August 3, 2019). Douglass championed the new medium in a series of lectures on the subject of photography such as 1861’s "Pictures and Progress." Du Bois curated a landmark exhibit for the 1900 World's Fair in Paris, that included a series of ingenious graphic representations recording many aspects of the lives of African Americans at the turn of the century and recently published in book form. But that exhibit also contained many albums of photographs selected by Du Bois. These presented a diverse and strong African American community and challenged the stereotypical imagery of the day. All of the material complied by Du Bois for that exhibit is now held by the Library of Congress. 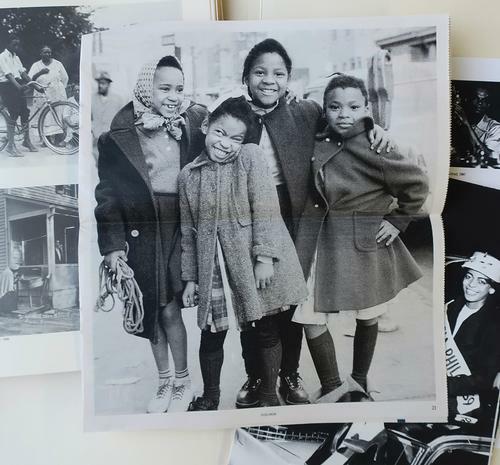 A Philadelphia-based photojournalist, John Mosley lovingly chronicled every detail of the culture and history of this city’s African Americans from the 1930s through the 1960s. More than 300,000 photographs by Mosley are preserved at Temple University thanks to Philadelphia’s influential African American scholar and bibliophile Charles L. Blockson. No investigation into the history of African American photography can be undertaken without the help of Deborah Willis’ astounding body of work. 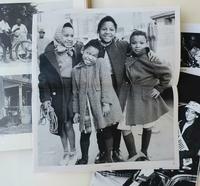 The Philadelphia native is an artist, photographer, curator, photographic historian, author, and educator. Starting with a long-time stint as curator for the Schomburg Center for Research in Black Culture at the New York Public Library, Willis has continually added to our knowledge of numerous photographers, especially those working in the earliest days of the medium and previously neglected by history. She's authored dozens of books on the subject that include essential bibliographies. The Free Library of Philadelphia hosted Deborah Willis on several occasions; her 2009 and 2013 talks can be accessed as audio podcasts through the our catalog. A diligent researcher seeking to follow her example might seek out neglected pioneers of American photography right here at the Free Library. Early photography trade journals like The Philadelphia Photographer are valuable primary resources along with city directories, census records, and newspapers. 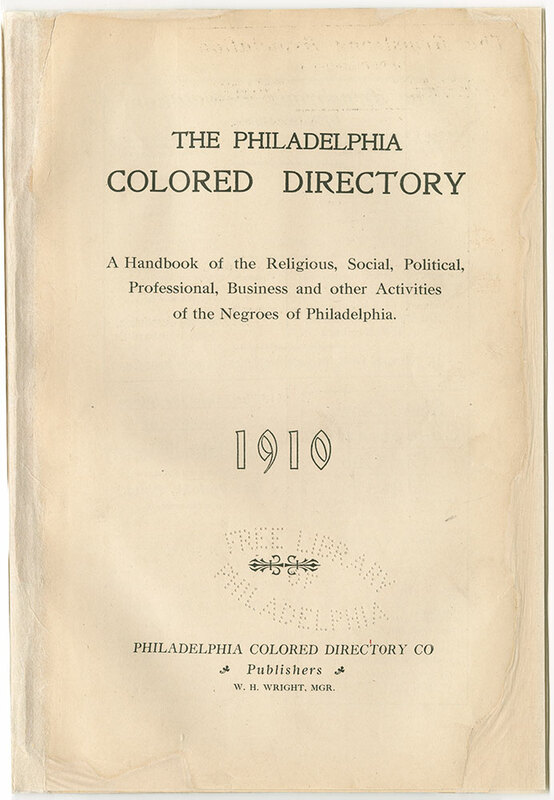 Take a look at the 1910 Philadelphia Colored Directory for example, an important reference book you can access online through our catalog, thanks to the Social Science and History Department. Several African American photographers are listed there along with the address of their studio at the time, including a Mrs. Stephanson whose advertisement for professional photography includes a 525 South 9th Street address. Ask any librarian, beginning with those in the Social Science and History Department and the Newspaper and Microfilm Center for help accessing census records, city directories, and newspapers, and see if you can learn anything about those individuals. But first take a look at African American Photographers catalog list we've compiled while putting this exhibit together. Material from the John W. Mosley research files in the Art Department. A page spread from the book that reproduces Carrie Mae Weems’ Kitchen Table series.